Overflow: hidden is often used for the purpose of float containment. Every single element on a page is a rectangular box. The positioning, sizing and behavior of these boxes can all be controlled via CSS. CSS overflow property happens when you do set a specific height or width on a box, and the content inside cannot fit. 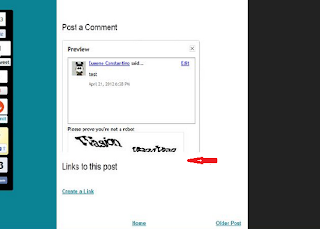 If you are a blogger who likes captcha on your comment box but with CSS overflow: hidden problem in the comment body thus preventing the commenters to type the captcha and "post comment" due to hidden part of the lower comment box. Here are the 2 easy options to solve this that don't require HTML editing. 2. 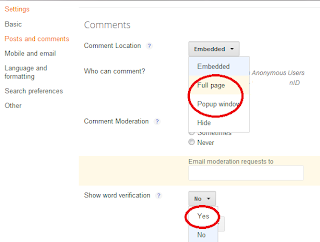 Change your comment location to Full page or Popup window which will take them to a new page. Great post. I dont want captcha check in comment box, hassle. . Very helpful post. Captcha is kinda annoying. I'll check my comment box. Such useful and concise tips! Thank you Tess! I learn so much from you! I'm super dumb when it comes to thinks like this. I find this too much for my brains. Haha! Thanks for sharing this. Really useful! 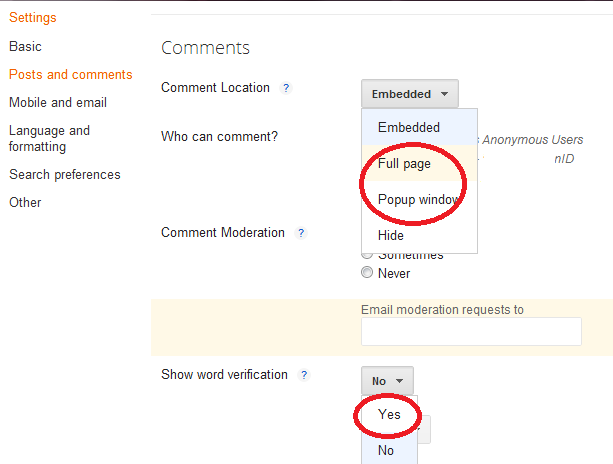 And disabling Captcha would lessen the hassle of commenting. Typing those insensible words is a waste of time. I experienced not being able to comment because there were hidden parts because of the captcha though there was a time I simply used the tab key to move in to the area you put the text. Just don't know if it works for all. 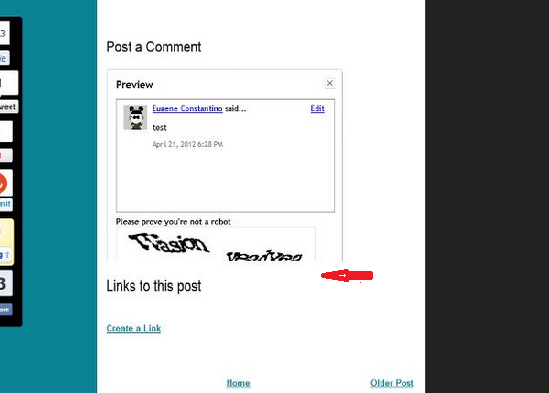 Do you have a tutorial that I can embed the comment box without the glitch other than removing the word verification? Very informative! Sometimes I find it really annoying when you can't hit the right verification code and you have to do it again. Now I know how to figure it out... 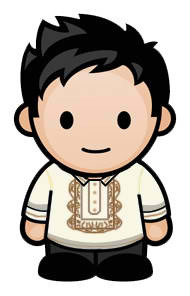 I'm giving you two-thumbs UP for this post! Very easy to follow. Thanks! This is the basic info and it is in fact a useful tips. I will apply this. I found your website perfect for my needs. It contains wonderful and helpful posts. I have read most of them and got a lot from them. To me, you are doing the great effort. Really i am impressed from this post. Thank You! recommended to new bloggers that having a hard time in fixing design.